Giving away bottles of wine during the holiday season and even during weddings is a great idea. You can give this to your boss or if you are the boss, you can give it to your clients and employees. It will make a great giveaway idea for a wedding too. You can have custom wine labels made with your logo. Wine Label Designs can be ordered online – you can do it yourself and have it printed or have one customized especially for you! A wine label consists of information such as the variety of grapes used in making the wine, the alcohol content, whether or not the wine contains sulfites etc. All these things are important from a consumer’s point of view, but they are also legally important. Custom Wine Labels by Maverick Label has a great and user-friendly interface which you can use to order your wine labels. They have tips for you to read over, prompts each step of the creation process and templates for you to use! They have standard wine label sizes which include 25+ choices for face and back of label locations. 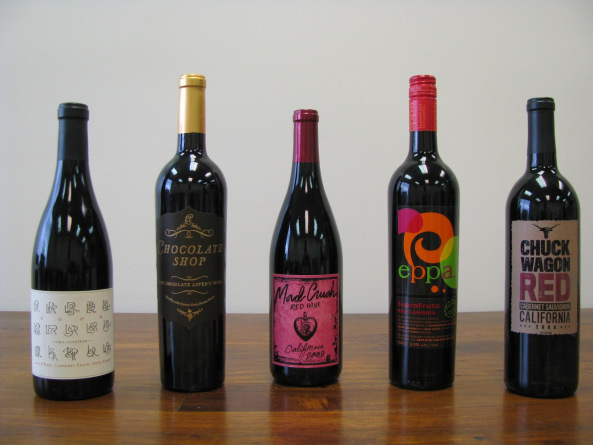 In addition to white face materials, they also offer over-foil wine labels and clear wine label materials. It sure is a great way to give thoughtful gifts of appreciation throughout the year but most especially during the holidays.